NYC Immigration Lawyers, Naturalization, Green Cards, Deportation Defense, Brooklyn, New York - How Do I Become a Lawful Permanent Resident While In The United States? 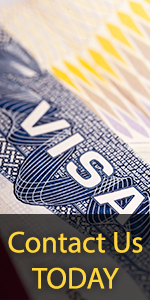 » How Do I Become a Lawful Permanent Resident While In The United States? Applicants for adjustment to permanent resident status are eligible to apply for a work permit while their cases are pending. You should use USCIS Form I-765 to apply for a work permit. You do not need to apply for a work permit once you adjust to permanent resident status. As a lawful permanent resident, you should receive a permanent resident card that will prove that you have a right to live and work in the United States permanently. Please see How Do I Get a Work Permit? for more information. If you are applying for adjustment to permanent resident status, you must receive advance permission to return to the United States if you are traveling outside the United States. This advance permission is called Advance Parole. If you do not obtain Advance Parole before you leave the country, you will abandon your application with USCIS and you may not be permitted to return to the United States. For more information, please see How Do I Get a Travel Document?. Please contact the USCIS office that received your application. You should be prepared to provide USCIS staff with specific information about your application. Please click here for complete instructions on checking the status of your application. Please click here for more information on USCIS offices.